Every time we remember to say "thank you," we experience nothing less than heaven on earth. 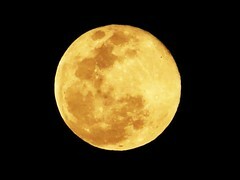 Thursday, July 17th is the Full Moon of the Guru: Guru Purnima. In the Vedic tradition, this is an auspicious evening for remembering and thanking the great sage Vyasa, author of the Bhagavad Gita and other great works, and for celebrating all of the teachers in our lives: our children, parents, siblings, spouse, co-workers, bosses, professors, etc. Thoughts of gratitude and wishing them well with metta -- intention of loving kindness -- is a beautiful way to celebrate their gifts. On this night, I give thanks for the many people, in all walks of life, who have so graciously given their time, attention and wisdom. I have been most richly blessed to have encountered so many teachers in my life, whether called Sifu or Sensei, Grandmaster or Guru, Teacher, Professor, family member or friend. I thank you all. I am humbled by your inspiring gifts, and more prosperous because of them.